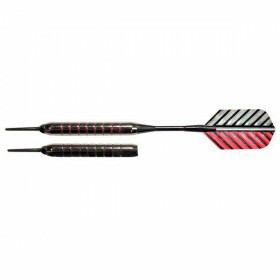 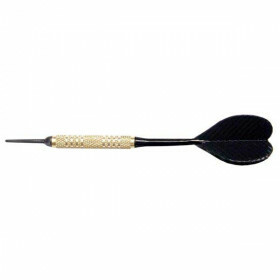 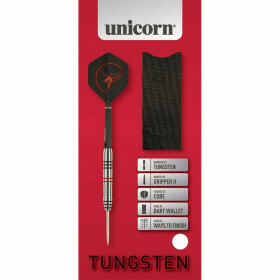 Gain a competitive edge with the Unicorn Soft 200 Dart Set from the world-wide leader in darting. 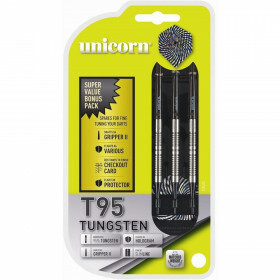 Learn to play darts with the brand professionals trust to deliver the highest quality of darts – Unicorn. 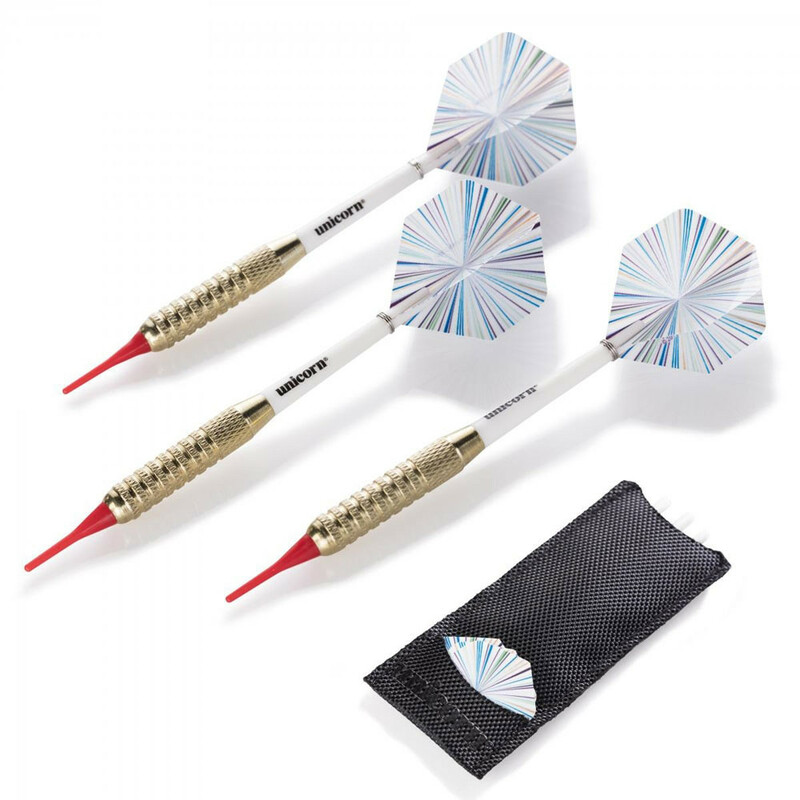 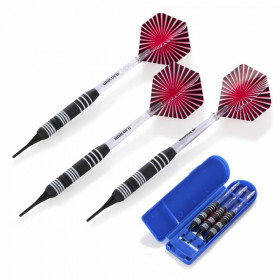 This entry-level dart set designed for recreational players includes (3) soft tip darts designed for electronic dartboards, (3) 16gm brass plated barrels for enhanced grip when throwing, (3) red and white gripper shafts ideal for beginner players and (3) white polyester flights for true flight. 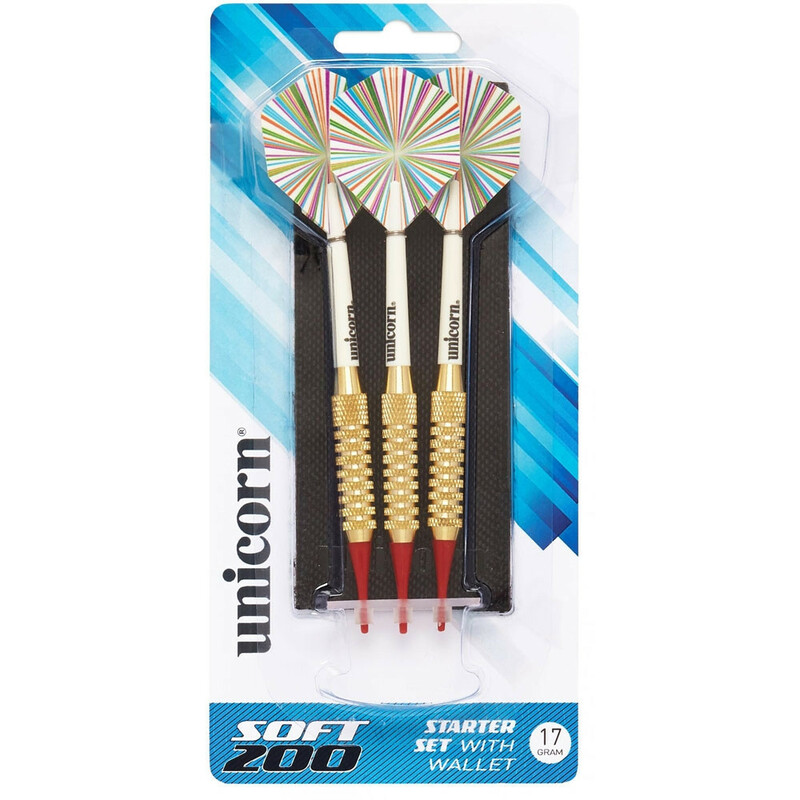 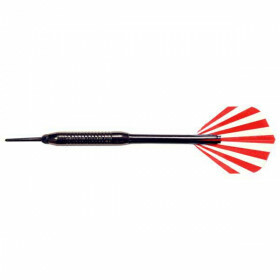 Improve your skill and refine your throw with the Unicorn Soft 200 Dart Set from the world-wide leader in darting.